Mushrooms contain ergosterol, a fungal cell membrane molecule which, when exposed to UV light, is converted into vitamin D2 (ergocalciferol). All mushrooms contain ergosterol, and the conversion to vitamin D2 from UV radiation is quite efficient in some more than others. The process of exposing retail mushrooms to extra UV radiation is becoming more common in order to artificially increase vitamin D2 levels. Chanterelles from the wild contain high levels of vitamin D2 due to natural UV exposure … about 212 IU per 100 grams of fresh material. 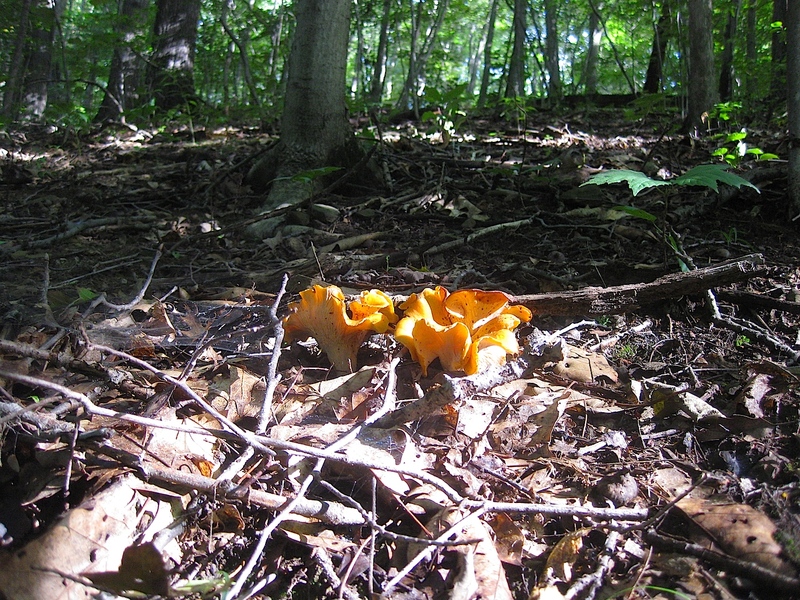 Pictured here are chanterelles in a state park outside of Pittsburgh, demonstrating to perfection the conversion of ergosterol to ergocalciferol.